It’s sad but true. I’ve observed friends, family and strangers with perfect hearing reluctant to talk to someone who is Deaf. I’ve seen this happen in restaurants, libraries, the post office and church. ME: “Hi, are you Deaf? ME: (quickly) Okay. Nice to meet you. A few weeks ago at a drugstore, I tested my ASL skills with a woman signing to a girl I observed to be her student. The teacher and young person were friendly and seemed forgiving of my signing mistakes, awkward pauses, and bluffing. I ran into this teacher and her family again at a gift shop the very next day. They were signing to a teenage girl, who I learned was her daughter. 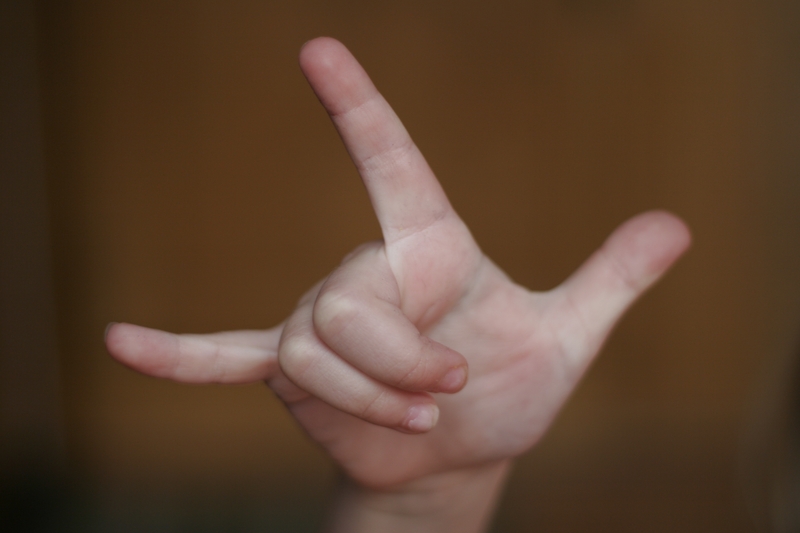 I repeated my “Hi, are you…” ASL introduction to the girl who was Deaf. She seemed pleased (or pretended to be) that I had attempted to strike up my hands-on conversation. A week later at the post office, I yet again initiated a signing dialogue. The woman spoke very clearly and I could lipread her well, so I used more of my voice than sign. From the exchange, I learned she teaches at the same school as the teacher I’d previously met. Small world for this Lip Reader. I am thankful for these two teachers being patient with my rudimentary signing skills. We engaged in brief, but friendly conversation… with a few silent pauses from me. Qestion: Any tips for traveling? I’m hearing impaired and can carry on a one to one converstaion but can’t hear anything on a speaker, movie theatre (only one in Seattle with CC), or when there’s loud music or loud chatter. Have you ever worn a sign? Bernie, thanks for following the Lipreading Mom blog. Something that has worked well for me is to explain to the person sitting next to me that I am hard of hearing and would appreciate him/her repeating announcements from overhead speakers. You could also carry a pen and paper and write back and forth if the airplane noise makes it too difficult to hear and understand the person beside you.